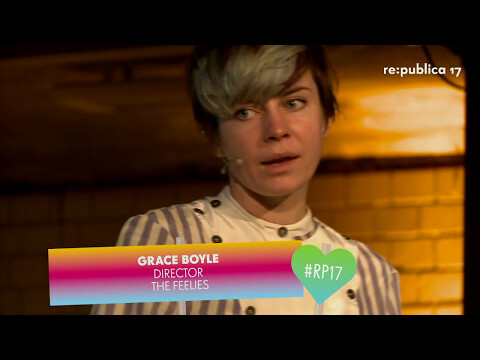 Grace is the founder and director of The Feelies, the first public multi-sensory cinema based around virtual reality. Starting as a collaboration in a cemetery with VRSE, Shuffle Festival and the Crossmodal Research Laboratory at the University of Oxford, The Feelies are now exploring what it is to write, shoot and deliver original content that is multisensory from the first concept stage. Bringing perfumers, experience designers, sound artists, psychology and artistic and production design into the world of VR, The Feelies have two multisensory VR projects launching in 2017. The first is LeMusk, a musically immersive VR film directed by AR Rahman, the story supported by a combination of unique sensory experiences and laced with evocative and delicate scents. The second is the result of a two-year collaboration with Greenpeace, and tells the story of the Munduruku, an Indigenous People of the Brazilian Amazon who are resisting plans for a huge complex of hydro-electric dams that will flood the forest that is their home. Made with Alchemy VR, the experience translates real multisensory data into a coherent story for audiences, testing the boundaries of storytelling by taking them on narrative journeys that speak to all of their senses.